Tips to thrive during this dark season instead of merely surviving. I sit gazing out dark windows with a morning cup of coffee in hand, remembering the sights and sounds of summer birds covered with gentle morning light. The world around me is cold and dark now and these memories feel far away and forgotten under frozen landscape. The winter solstice arrives on the shortest day and longest night of the year. Any reassurance of knowing the days gradually lengthen from this point forward is lost in a barren season highlighted by fleeting holidays, seemingly eons away from springtime. 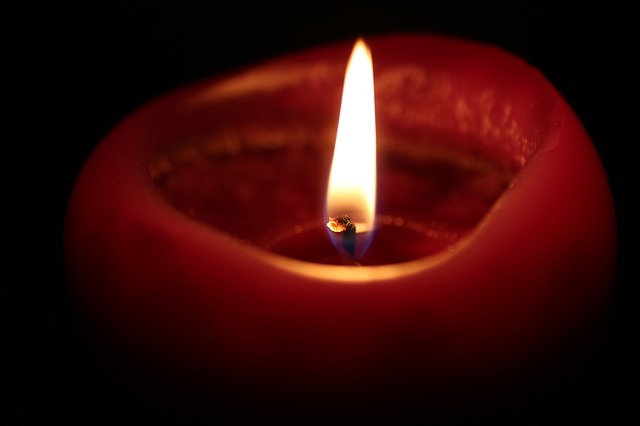 Thousands of years ago people would light candles and gather around fires to celebrate the return of light. Their winter season was marked with tasks of survival, as the period of time between January and April were known as the famine months. Our own modern-day holiday traditions involve heartfelt rituals of food, sparkling lights, evergreen trees and candlelit prayers. The exhaustion felt after the holidays reminds us that we too have filled our lives with many tasks, yet 86 days of cold nights and dark days remain before spring arrives. How do we nurture ourselves without involving food, television, and alcohol until the season of warmth and sunshine returns? Rituals are often defined as acts and practices invoking the divine. For me, the divine appears when I stop in each moment and enjoy what’s present. The sacred around me, and the beauty of the present moment are where the magic lives (easier said than done when there seems to be nothing other than snow sports and television in our world for the next 90 days). Ritual is any action we take with intention—and it’s what feeds us during the famine months. We can begin to access this fertile time by heightening our senses. 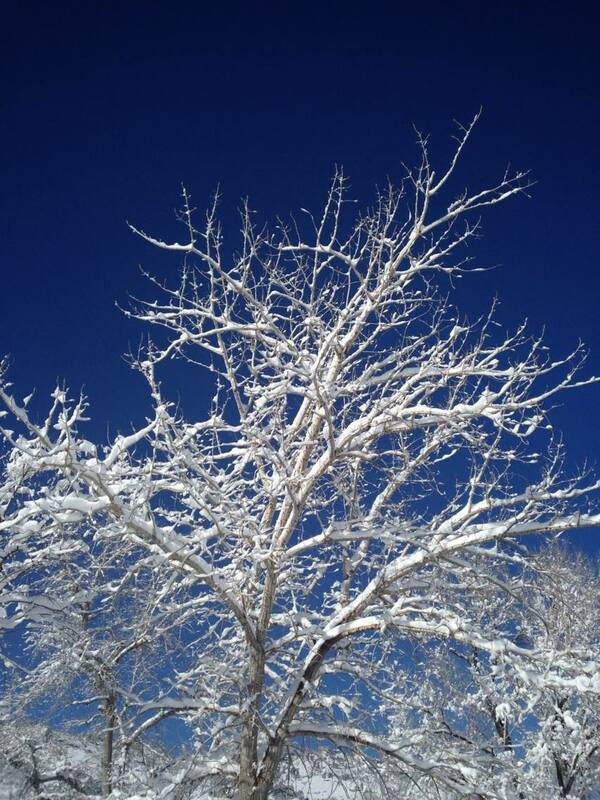 Slowing down to taste, hear, smell, notice and feel the abundance of winter takes practice. It’s too easy to rush from home to car to office, leaving in the dark and returning again, starved on all levels. I ease into winter mornings lighting a candle as I sit waiting for the darkness to fade and my water to boil. I picked up this habit in Denmark years ago, a place where the lack of winter light lasts far longer than our brief season of darkness here in the states. There’s something about striking that match, hearing the sound of the flame, the smell of the smoke and feeling the warmth of the candle that makes me feel as though I’m welcoming the day intentionally. I maneuver into the day slowly when it’s cold and dim. The brief summer shower seems foreign in the face of a sharp winter morning chill. Even when rushed to be somewhere early, I allow a few extra minutes to allow myself the slow ritual of a hot shower and give thanks for the warmth of steam. Slathering lotion quickly before dressing is a distant summer memory. Swapping out warm weather products with heavy sesame or almond oils provides an extra barrier between skin and cold air before getting dressed. Real or perceived, I feel protected from the sharp bite of winter wind beneath my clothing. Musical tastes also change this time of year. Summertime rock and roll blasting out rolled down windows fades to classical and quieter tunes as ice cracks under my car early in the day. When we take care of ourselves through the winter months and take note of nature’s dormant period, we emerge into the springtime recharged and refreshed rather than drained, bored, and, well, larger than before. I intentionally take in the many colors of the winter landscape: the gray ice, the blue cast over new snow during sunset, even the many shades of black deep within a frozen pond seem exciting to eyes starved of summertime greens. Purposely exposing ourselves to the ever-changing light of a short day feeds our senses in a way that makes the winter famine months seem abundant. Lavender morning skies, brief pink sunrises before thick snow clouds take over, and the squid ink black of the winter night set behind silver stars are all vitamins for the soul. Tuning into nature’s sounds is another way to feed internal hunger arising during the in-between time of post holiday blues and manic spring longings. The birds that remain behind sing a song of sweetness that goes unnoticed during springtime mating staccatos. Snow crunching underfoot, ice cracking and the sweet sound of rich silence that blankets the world when the snow falls are all here for the hearing. Utilizing the season’s temperature as a signal that it’s okay to enter the cave, nest and seek nurturance allows our body’s primal need to recharge, rest and be protected from the elements. It’s when we buck the natural rhythm of nature that we find ourselves exhausted, sick and depressed. Surrendering to the warmth of the hearth, cooking heavier more complicated recipes and indulging in the immune-supporting flavors of oily, sweet, salty and sour naturally balance and enhance our digestive fire; the key to balanced living and health. Gathering family and friends together over hearty homemade winter meals is a winter ritual that will feed not only your appetite, but also your heart and soul during this time of nature’s slumber. The winter season may feel stark and empty, but beneath its deceptive surface, there is a rich landscape of fertility leading us towards springtime. The famine months can be nurturing if we remember to change our daily rituals and use our five senses for guidance through the darkness. Once again, spring will return, and when she arrives, we’ll be ready—seeds bursting with life force after quietly and obediently hiding beneath her winter cloak. Written by Tamara Star originally posted in the Winter Edition 2013 Twine Magazine.